On the backdrop of India Bike Week, Harley-Davidson India on Thursday began its fourth HOG (Harley Owners' Group) rally in Goa. 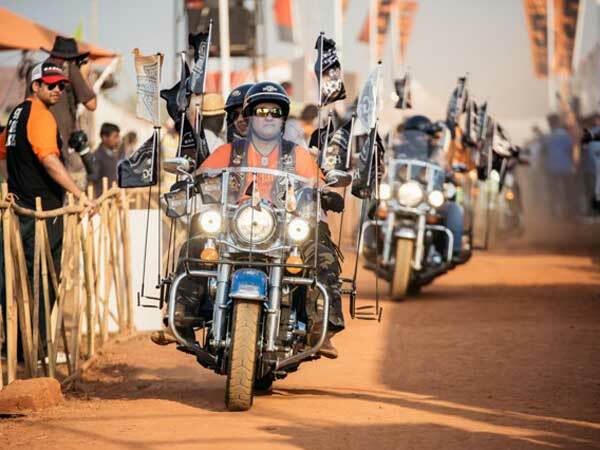 "This year Harley-Davidson is all set to celebrate the 4th edition of HOG India rally and the biggest till date, as thousands of HOG members along with their families have started to reach Goa and celebrate the shared passion for freedom, self-expression and epic adventure," Pallavi Singh, Director (Marketing), Harley-Davidson India, told . The event is happening on the sidelines of India Bike Week (IBW) scheduled at Arpora in Goa. Individual riders from all over India will compete in the rally, she said. During IBW, enthusiasts will be able to see first-hand the complete line-up of Harley-Davidson India's 2016 motorcycles, including the recently launched Sportster 1200 Custom and the iconic Road King. "A display of customised Harley-Davidson motorcycle awaits the brand enthusiasts as customers and dealers compete for the title of the 'Best Customised Bike', she added.